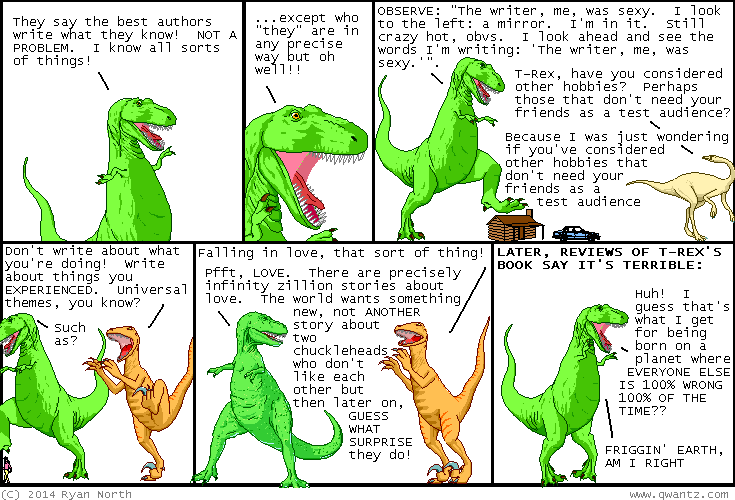 Dinosaur Comics - December 1st, 2014 - awesome fun times! –What is their deal, I might ask?? December 1st, 2014: We got some SHIPPING DEADLINES for Dinosaur Comics holiday merchandise! AND HERE THEY ARE. Also I made some Christmas cards for you? ?